To close out a month that gave us the Brexit, which briefly wiped $3 billion off the global market; the 6th season finale of Game of Thrones; and Messi’s retirement announcement from the Argentina national team after the 2016 COPA America loss, Hines REIT CEO and president Sherri Schugart announced the liquidation of Hines REIT on June 30th. The portfolio, comprised of 27 properties, has agreed to sell seven West Coast offices to none other than Blackstone Real Estate Partners for $1.162 billion. With over $100 billion in assets under management, Blackstone Real Estate Partners is “the largest owner of real estate in the world”, as CEO and self-proclaimed world’s largest landlord Stephen Schwarzman says himself. Stockholders of Hines REIT are expected to receive $6.35 to $6.65 per share from the liquidation. 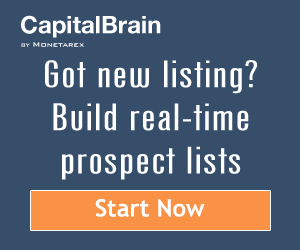 Below is a list of Blackstone’s noteworthy deals since its 2007 IPO. With over $100 billion in assets under management, Blackstone Real Estate Partners is “the largest owner of real estate in the world”. Monetarex has reviewed other private REITs launched since Q2’14 (active and dissolved) and identified an upward trend in private REIT formations. Historically, the average of REITs formed on a quarter basis is around a 100, which offers insight into the health of the commercial real estate sector. 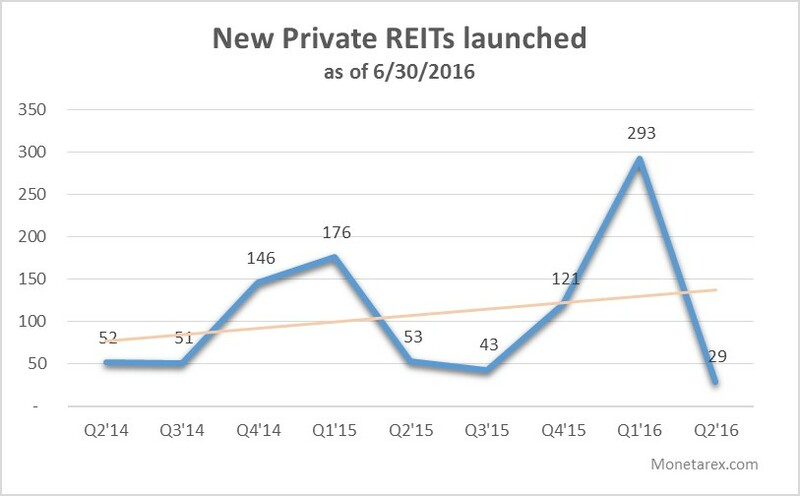 As of June 30 2016, the number of new REITs launched has declined from Q1’16 with 293 newly formed REITs to 29 in Q2 (a 90% drop). For REIT offerings, total offering amount in Q2 stands at approximately $740 million, a 10 percent increase from quarter 1 ($667 million).